Over the last couple of years, the use of partial opioid agonists and alcohol has increased greatly. 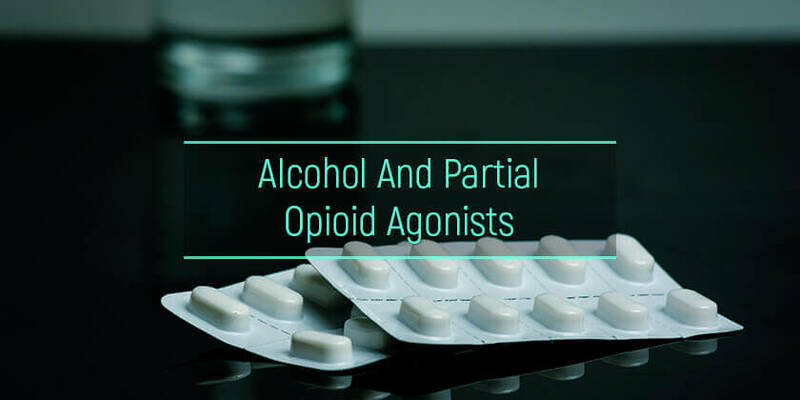 Concomitant use of alcohol and partial opioid agonist can lead to serious and permanent health problems, which can increase the risk of overdose and death with similar results to a combination of augmentin and alcohol. Opioids are classified depending on the receptor binding and affinity. There are full opioid agonists and partial opioid agonists. Partial opioid agonists activate the opioid receptors in the brain, but to a lesser degree when compared to its full agonists cousins. However, they share similar side effects. This article explains all side effects of partial opioid agonists with alcohol, drug synergy and overdose, and the treatment of concurrent addiction. What are the partial opioid agonists? How does a combination of partial opioid agonists and drinking affect health? What is the statistics on partial opioid agonists and drinking? Is “drug synergy” and overdose on ethanol and POAs possible? Do POAs help in reducing alcoholism? Partial opioid agonists are a heterogeneous group of drugs whose function is to bind and activate a given receptor in the brain but produce fewer effects when compared with full opioid agonists. Sometimes, partial agonists can be referred to ligands— which displays two different effects; Both agonistic and antagonistic effects. E.g. Buprenorphine. Buprenorphine is considered as a partial agonist drug since it activates the opioid receptors to a lesser degree. However, buprenorphine also acts as an antagonist. In the case where a full agonist drug like heroin, oxycodone, or hydrocodone is used, usage of buprenorphine helps to neutralize the effects of the full agonist drug (s) by competing for the receptor occupancy, hence, the activation of the receptor is to a minimal level. All these complications mentioned above can be associated with some of the long term effects of drugs and alcohol. Regular intake of partial opioid agonists and liquor increases a person’s tolerance to both substances meaning the user would have to use more quantity of both substances to be able to experience the same effects as before which then leads to overdose just like cannabis mixed with alcohol. Also, according to the 2015 National Survey on Drug Use and Health (NSDUH), 86.4% of people from 18 years and above reported that they drank alcohol at some point in their lifetime. 56.0% said they drank in the past month, and 70.1%, in the past year. 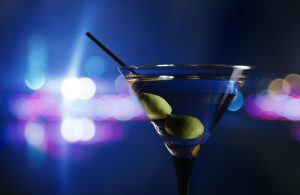 Subutex and alcohol: Subutex is a well-known buprenorphine drug that has many side effects on its own. When consumed with alcohol, can lead to serious health complications. There is a higher concentration of the two substances due to increased drug absorption. On a general note, it is not advisable to take alcohol while on Subutex treatment unless under the supervision of a health professional. Suboxone and Alcohol: Drinking alcohol on suboxone is a dangerous action. The side effects of this combination include the decrease in blood pressure leading to hypertension, decreased respiratory rate, increase absorption rate, sedation, anxiety, etc. Liquor also intensifies the effects of suboxone by augmenting the most common symptoms associated with suboxone use which is vertigo and lethargy. Tramadol and alcohol: Tramadol is a well-known drug mostly abused by youths today. When consumed together with alcohol causes drug synergism leading to overdose and death. Both substances are central nervous system depressant, which slows down the brain function causing depression which may lead to suicidal thoughts. The use of partial opioid agonists can help reduce alcohol craving in addicts, A reduction in cravings can help prevent relapse and allow addicts to live a life free from alcohol. According to the Journal of Psychiatry, a test was carried out on a patient who had been drinking alcohol for many years. A low dose of buprenorphine (4 mg daily) helped to reduce the patient’s cravings for alcohol. Additionally, the National Center for Biotechnology Information claims that the NOP agonistic properties of buprenorphine might be useful in the treatment of alcoholism. Treatment for addiction to alcohol and suboxone or any other partial opioid agonist drugs begin with consulting a healthcare professional. A medical detox program is recommended for someone who has a history of taking partial opioid agonist drugs and alcohol together. Depending on the severity, patients are given the option to choose from either a program of outpatient rehabilitation or an inpatient/residential rehab center. In cases of severe addiction where an individual has made attempts to stop but relapsed, an inpatient treatment program can help provide consistent support in a therapeutic environment. There are also several rehab programs and treatment options for patients suffering from concurrent addictions like Phenobarbital or Xanax and alcohol which is said to increase the activity of inhibitory neurotransmitter (GABA) in the brain.